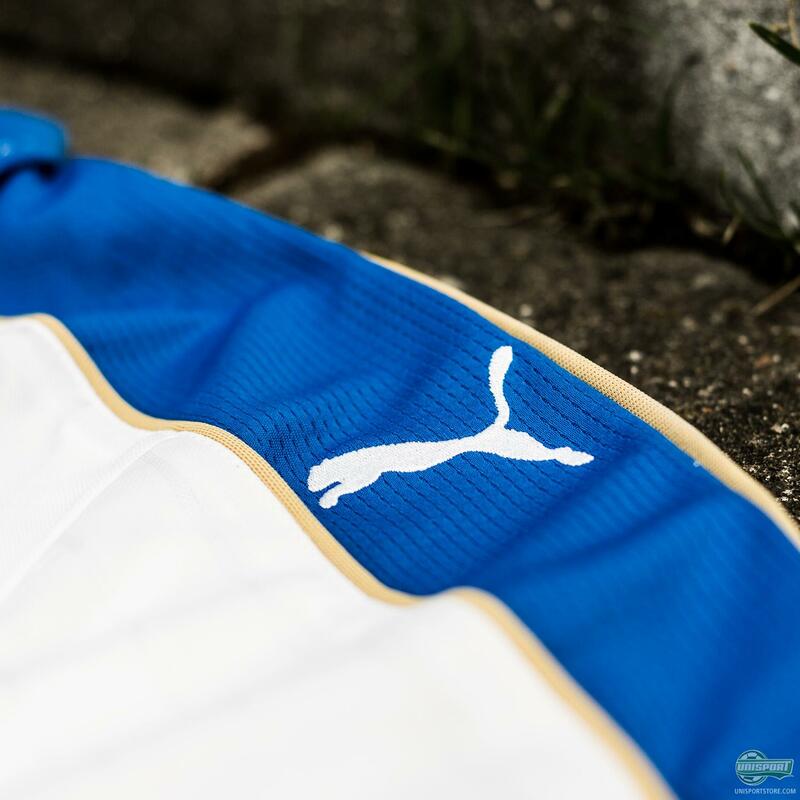 PUMA have had a busy summer designing shirts for all their biggest clubs and making sure they are all ready for the new season ahead. 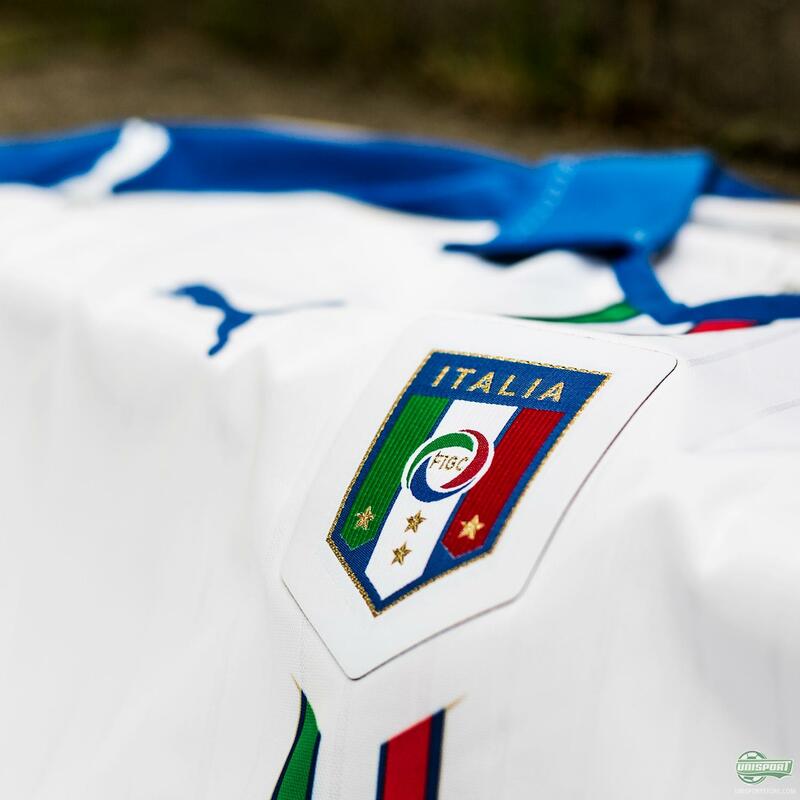 Now however their attention turns to the national teams, who are battling for a spot in the European Championships next summer. 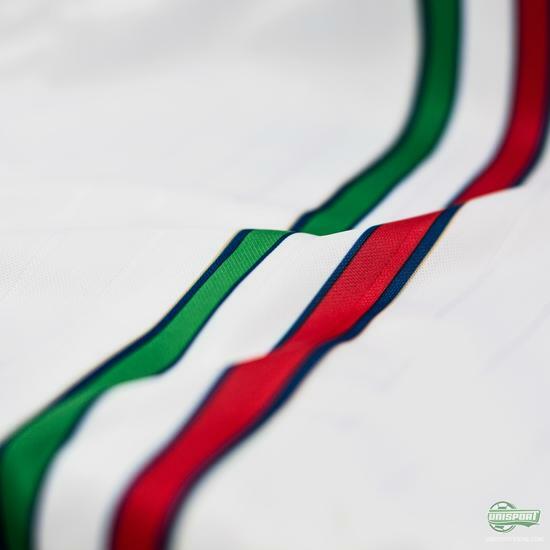 I think it’s safe to assume Italy will be among the teams heading to France next year and they will be doing so with this stylish new away-shirt. The Italians are well known for their sharp dress sense and basically killer steez, which is something PUMA wanted to incorporate in the new away-kit. 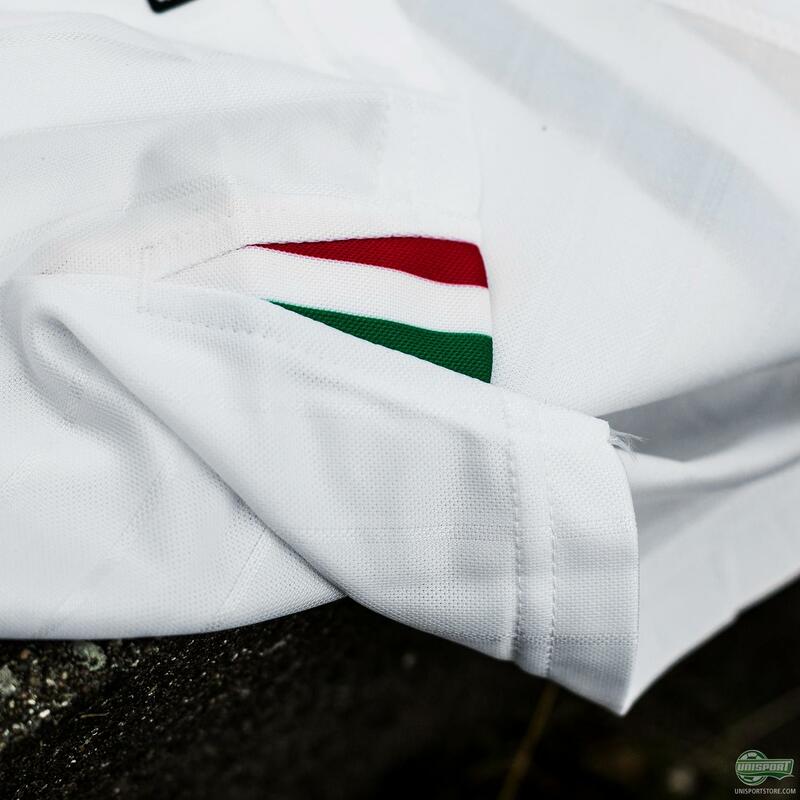 The German brand, who have been responsible for the Italian national teams shirts for quite some time now, have done just that, with several pieces of detailing that really elevate this shirt to the next level of style. The devil truly is in the detail on the new Italy away-shirt, with many striking and unique elements. 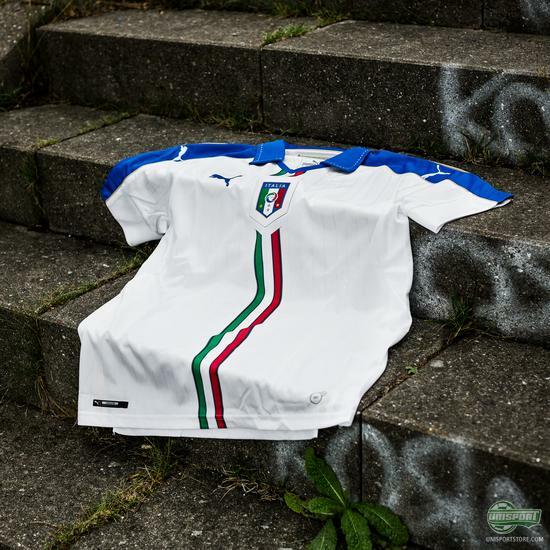 My own personal favourite is also the most obvious one, with the way PUMA have the Italian flag running down the front of the shirt. It’s a great way to have an away-kit, which still has that feeling of pride. The Italy away-shirt will be available for purchase on the 3. of September right here. 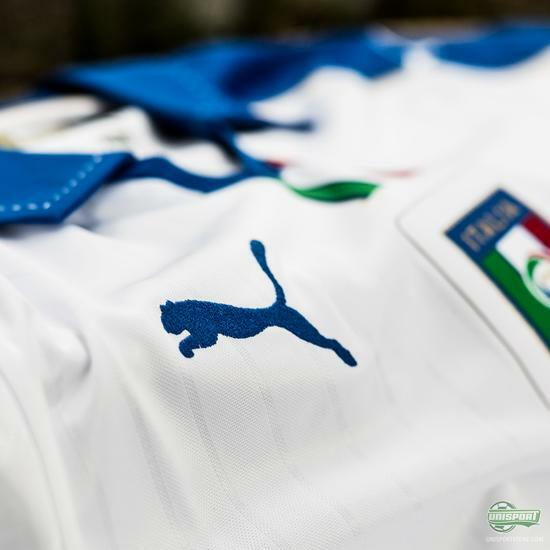 Running down the shoulders PUMA have fixed the shirt up with some gold detailing, so there is no hiding the aspirations they and the Italian team have, ahead of the European Championship next year. They are going to France with their eyes on winning gold! 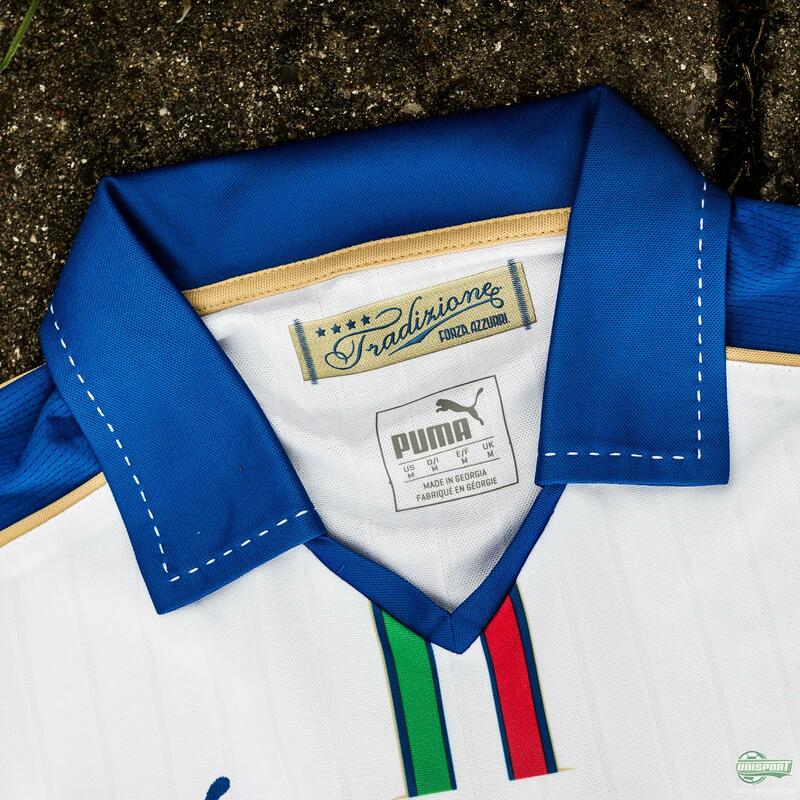 White, blue and gold, with a polo collar - it’s no nonsense from PUMA, with a classic shirt that I’m struggling to see how anyone could possibly hate. 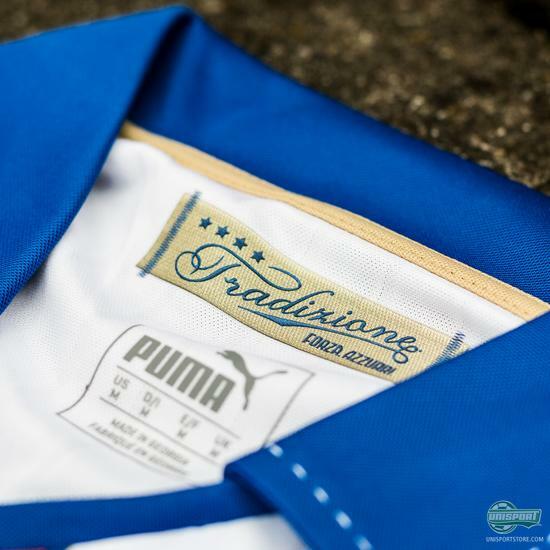 I dig it myself in any case, but what about you - are you liking it?